The saga or the war rages on. I thought I would update what happened since the last post about the ongoing issue with Carmike Theaters and Captions. I mentioned in my last blog post that we were going to have an undercover mission with a friend of mine and her husband. They went to the theater knowing they did not offer captions but just wanted to see what the reaction would be when they asked about them. What happened next just shocked me. My friend did not talk just used sign language and her husband did the talking. They asked if captions were available and THEY DO HAVE CAPTIONS and provided my friend with a Captiview device. I was shocked and even more confused after all of this. I am very glad that my friend got to enjoy the movie and understand all of it. To make matters even more confusing it was the same manager that helped me helped her. I called the theater again trying to get a hold of a manager. I had no luck doing this earlier. I actually got the manager and it was the one I talked to. He apologized that he didn’t give me captions. Then he went on to say that a “Full Deaf” woman came in today and I gave her captions. She couldn’t even talk so she was full deaf and needed them. It was thank you for your apology and now go stick your foot in your mouth. I told him I wrote a letter to the editor and he was aware of this, I guess the paper contacted the theater. I also told him I was waiting for a response from the theater and he told me he got my emails but just didn’t know what to do with them. That same night I received an email from a district manager asking some questions about the day, time and person we talked to. I responded right away to the email. A step forward I was contacted?? We are in a day in age where there is equal equality to all…but is there? I was at the Kandi Carmike Movie Theater this past weekend with my husband. We were going to a movie on his birthday. I happen to be hard of hearing and I asked if there were a captioning device I might use for the movie so I could understand the dialog. I was given the response from a manager that those devices take lots of paperwork, signatures and time so we don’t bother with them. This really upset my husband and I. Paperwork is such a pain that we can discriminate an entire group of people from the movies. A simple no would have worked but to go on that it is a pain and burdensome was unneeded. I guess my money doesn’t need to be spent at the Carmike theater anymore. November 21, 2014 the HLAA (Hearing Loss Association of America) had a landmark deal with Theater Owners of America that come 2015 closed captioning for the Deaf and Hard of Hearing and Visual Description for the Visually Impaired will be required of all theaters. I look forward to this day, and I look forward to the day when the pain of paperwork and time doesn’t discriminate a group of people. We wouldn’t think of having a theater not wheelchair accessible, not all disabilities are visible. I have not heard anything from the theater until today. 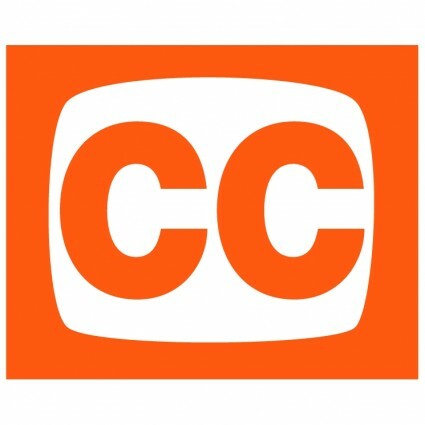 I was contacted by CCAC (Collaborative for Communication Access via Captioning). After corresponding with CCAC they sent an email to the district manager and copied me on the email and response. The email was sent and I thought AHHH now we wait. A whopping 5 minutes later we have a response from the district manager that they have captioning and are in the law complete with pictures of the Captiview devices and the headphones. CCAC sent another email back to them thanking them for their speedy response but alerting them as it is nice they have the devices they are denying them to certain patrons if they don’t look deaf enough. They asked the theater to issue an apology. This email hasn’t been answered. My last blog post was about the movies. I wrote that I am not a big fan of the movies because of the dialog being hard to understand. I am looking forward to trying captions in a movie theater. So what do I do over the Thanksgiving weekend, attend a movie. My husbands birthday was on Black Friday. I partook in the shopping frenzy with my daughter and Mother in-law. We arrived back to my in-laws house to find my husband laying in bed looking bored. Asked him what he wanted to do, he responded the movies. Sure lets go, we have built in babysitters here. Let’s head to the movies. How do I deal with this? It has been near a week and I am still in shock. I have worked at numerous jobs where I deal with people and customer service. I would never dare tell someone that they are a pain and what they are asking for is burdensome. I am really hoping that this manager was shocked by the amount of people at the movies that day and was just stressed. I really hope he doesn’t have this attitude all the time. I wanted to give the theater time to respond before I take this further. I want to hope this was a huge misunderstanding and there would be an apology. I tried to contact the theater, they don’t make it easy. Their website has a form to fill out and a manager will get back to me within 2-3 days. Been a week haven’t heard a word. Tried to call the theater, can’t get a regular person on the line. I wrote a letter to the editor of the paper alerting them and educating them about this, hasn’t been published…yet. I have now written a letter to the corporate offices for this theater chain. They have no working email or phone number that you can contact them with. Snail mail will have to do in this circumstance. An experiment will be taking place this weekend. I have a good friend who is deaf. She communicates with me by voicing and reading lips. I am trying to learn more sign, so we can talk through sign. Her husband is a sign language interpreter. They are going to go to the same movie theater as we did. She is not going to voice only use ASL with her husband. They are going to inquire if they have captions available at this movie theater. Do they have anything they could offer her to use. We are very interested in what the outcome will be. I hope that I had a stressed out manager and they will be given good customer service, only time will tell. I am hoping for a simple NO, we don’t offer them at this time. We do have headphones you could try and use. I want to give the theater time to respond before I take this further but with each passing day my blood is seeming to boil a tad bit more. I wonder what A Day at the Movies Part 3 will have to say.